Each day during the Sesquicentennial a new fun fact, story, photo, quote, or trivia question was posted to this Sesquicentennial Blog. Review all the postings or search for favorite people and places. Feel free to answer the question below! Now that the Sesquicentennial Celebration is over, how are you going to carry your Gustie spirit into the future? 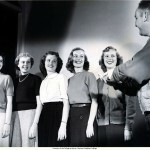 In the early years, Homecoming was celebrated during the winter months in conjunction with a basketball game. 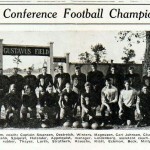 The first Gustavus Homecoming linked to a football game was in 1926. 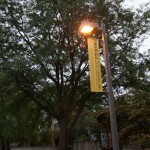 The homecoming slogan was “Beat St. Olaf,” which the Gusties did: 7 to 0. 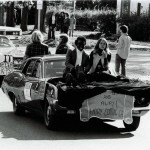 The Gustavus Homecoming Parade has had a long history, including for many years going through the town of St. Peter. Now, it is on the Friday night of Homecoming, and goes through campus. 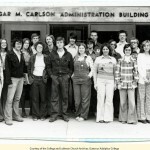 In what year was the Gustavus Student Senate created? A. 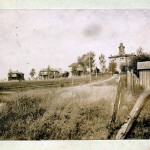 1902 B. 1922 C. 1942 D. 1972 The answer will be posted at 6:00 p.m. CST. Feel free to answer your questions below! 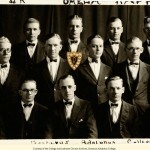 What Gustavus tradition brings you the most pride? What does being a Gustie mean to you?